Located across the street from the Gulf Stream golf club. Live in Luxury! The Villa D'Este condominum is very desirable small Bermuda style building on the ocean in the heart of Gulf Stream. You'll quickly feel like you're living in a resort in no time! You'll love being able to walk to the beach or stay home to take in the incredible views. Find out why people love living in Villa D'Este Condominiums! Read more or browse through some of the most recent listings below! Built in 1967, 12 units in total over 4 stories. Residents of Villa D'Este condos enjoy having access an oceanfront heated swimming pool. You can always rest assured that your family and home is secure. The views are extraordinary, overlooking the pristine beach and over-sized heated pool. 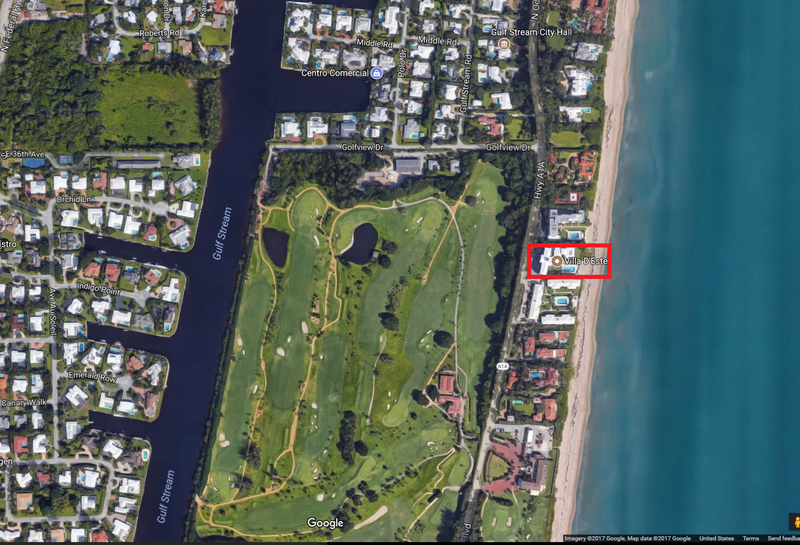 The Villa d’Este, located in the heart of Gulf Stream, has only 12 residences with a live-in manager and garage parking. This is the ultimate in Oceanfront living! Contact us today to learn more about condos for sale in Villa D'Este. These units move quickly so call 561-406-8880 today!